Just want to wish all you wonderful Malls of America readers out there (those who celebrate it anyway) a very MERRY CHRISTMAS! 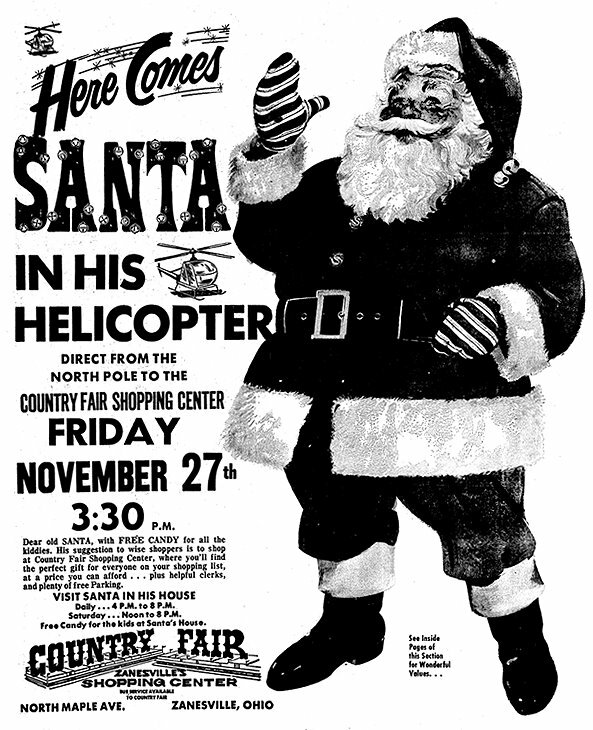 Here's hoping you stay warm, cozy, and safe this holiday season, and that Santa brings you everything you wished for! Btw, the photo above is the Country Club Plaza shopping district, in Kansas City, Missouri, decorated for the holidays. 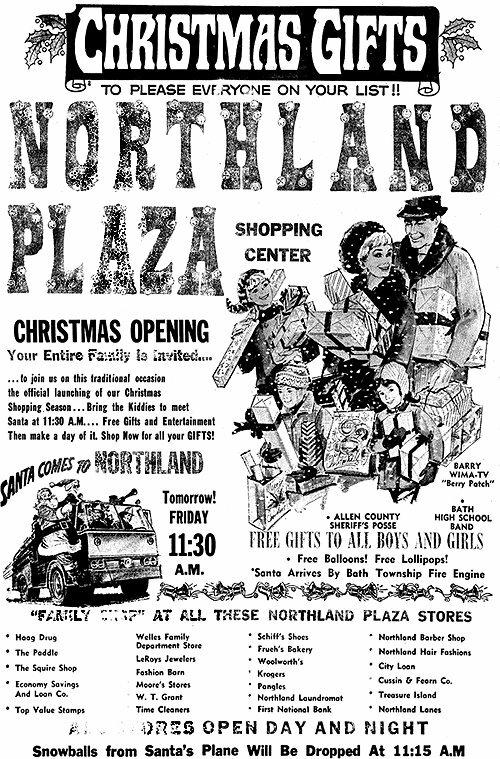 Northland Plaza shopping center Christmas newspaper ad. 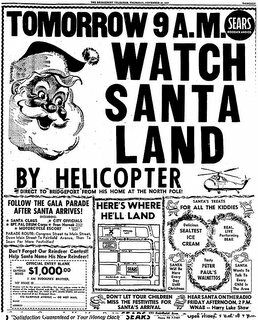 Be sure and note: snowballs from Santa's plane will be dropped at 11:15 AM, so shoppers, make sure to bring the kiddies along! Northland center was enclosed in 1974, gaining a JCPenney and Montgomery Ward in the process). 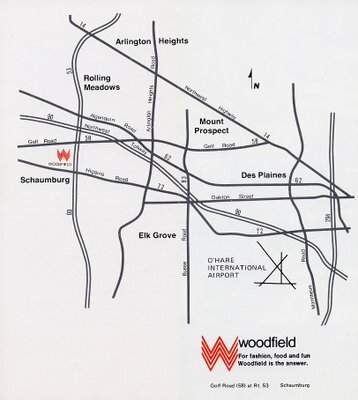 Later additions included Main Street (later Kohl's), TJ Maxx, Target, and in 1992, a food court. 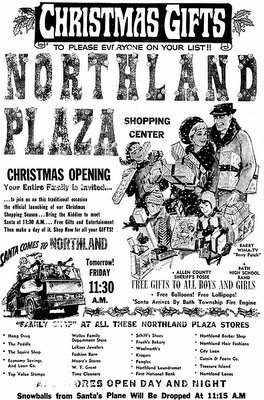 Despite the additions, Northland has suffered a natural decline as its buildings aged. 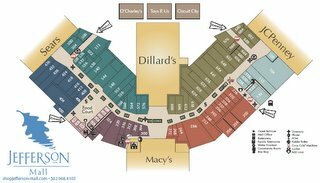 Throughout the 1980s and 1990s, major tenants such as Circus World, Waldenbooks, Victoria's Secret, Jo-Ann Fabrics and The Limited vacated their operations, as did anchor tenants Montgomery Ward, Kohl's (closed ca. 1995), Kresge and J.C. Penney (closed 2000). 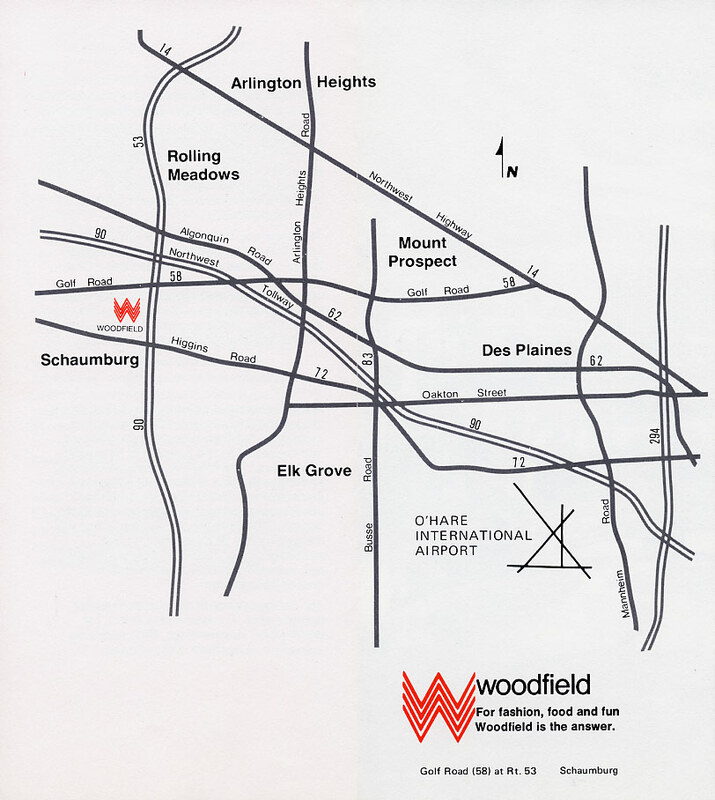 Beginning in 2000, some $120,000,000 was invested in revitalization of the area by GP Northland II, a New Jersey-based partnership, which took control of operations that year. (Excerpt) I'm sure I was just lucky. I'm sure, by today, the pink mackerel skies which hung over Kent yesterday will have turned to sleeting hell, as the pink mackerel ones often do. Inside the Bluewater Shopping Centre, 10,000 angry shoppers will be yelling profanities and bursting bunions, and road rage will have broken out in at least one of the multitude of car parks. But yesterday, by some miracle, I didn't quite go insane. I was prepared for the worst. Bluewater, Europe's largest shopping centre, on the Saturday before Christmas. Kent. Near Dartford, in fact. 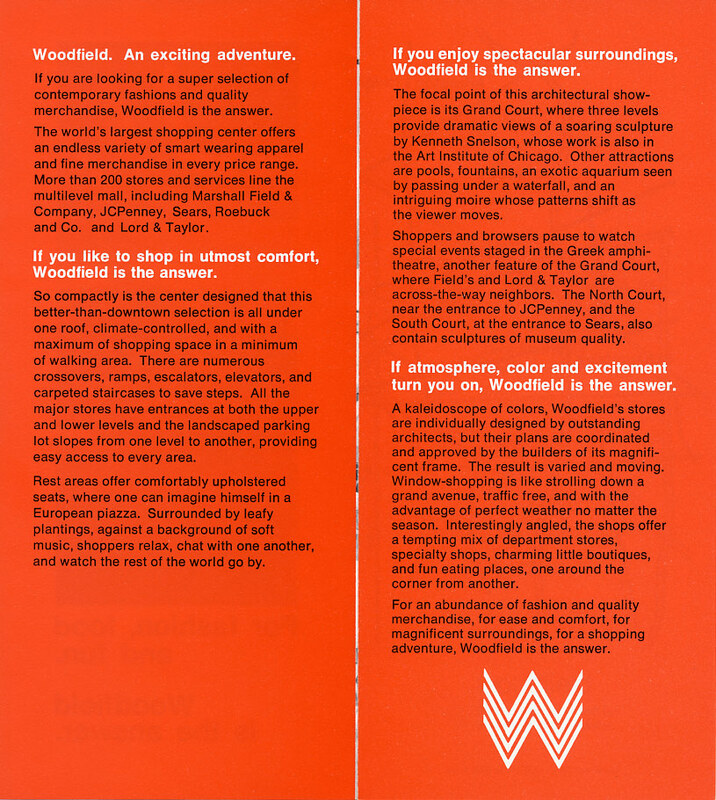 No fewer than 320 stores, 40 cafes and after your day's shopping, if you unaccountably haven't decided to cut out your own lungs with a flensing knife, you can stay overnight at the Holiday Inn, Bexley. Vintage December issue cover of The New Yorker, sporting a kitcshy painting depicting a glowing shopping center at Christmas time, with throngs of holiday shoppers filling the parking lot. Christmas 1976 at Desoto Square Mall. Employees pose in the Manatee Federal Savings and Loan Association, which was housed inside DeSoto Mall at the time. 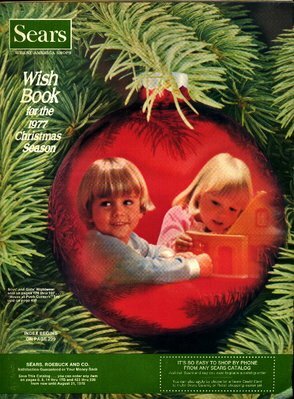 Thanks very much to, Pat Richardson, who kindly scanned the cover and a few choice pages, of his vintage 1977 Sears Christmas catalog, to share here on Malls of America. I really appreciate it, Pat! 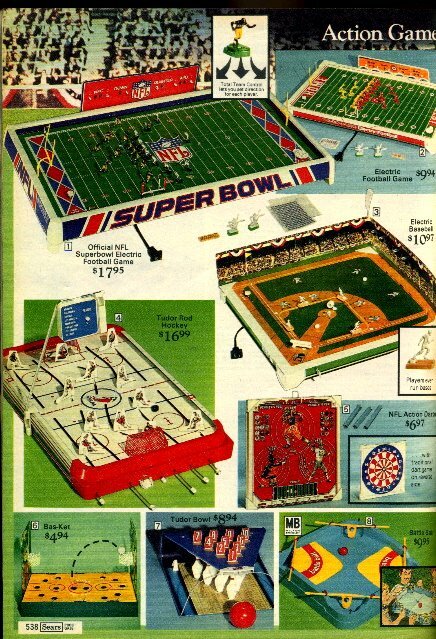 (Excerpt) It's not the little slot cars I miss. Oh, I loved them. I really loved them. They were hot red and hot yellow and you pressed a little controller and you raced them around a track -- until, having pressed the controller too hard, you caused them to go flying out of a curve and onto the floor. But it's not the cars themselves I miss. It's the feeling they caused. The feeling of anticipation. 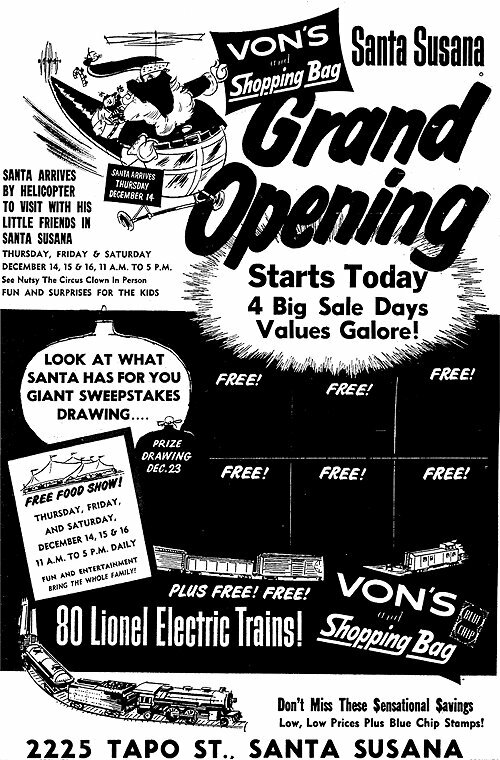 I was 8 or 9 years old, and a slot car set was my holiday present that year. Somehow I knew it. Maybe I peeked. Maybe my parents told me. 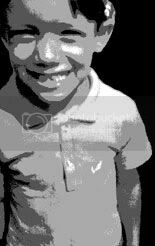 Who can remember? All I knew was a brand new slot car set was going to be mine on a certain day at a certain time and I could barely control my excitement. 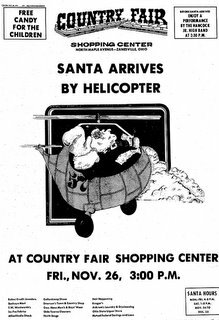 In honor of the holidays, here's a bunch of flying shopping center Santas! 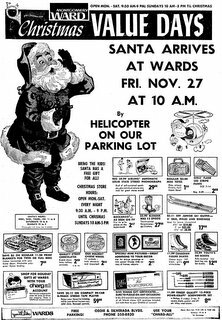 Years ago it was quite common for Santa to make his official arrival at the local shopping centers and malls via helicopter (and sometimes parachute! 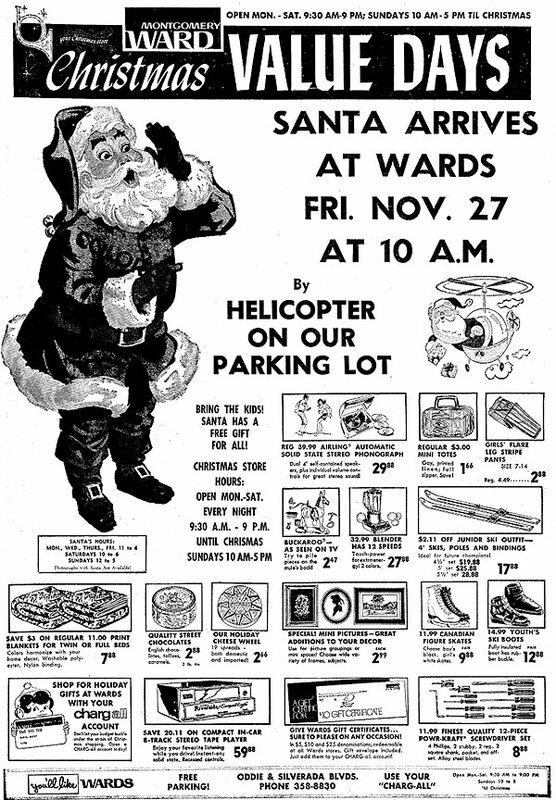 ), and these old newspaper ads prove just how common a thing it was (it still goes on from time to time today, but not nearly as much as it used to). 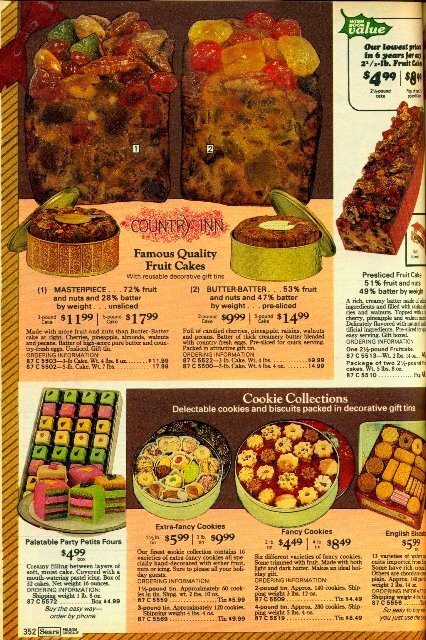 Most of these ads are from the '60s and '70s. The ones that aren't dated would be from somewhere around there as well. 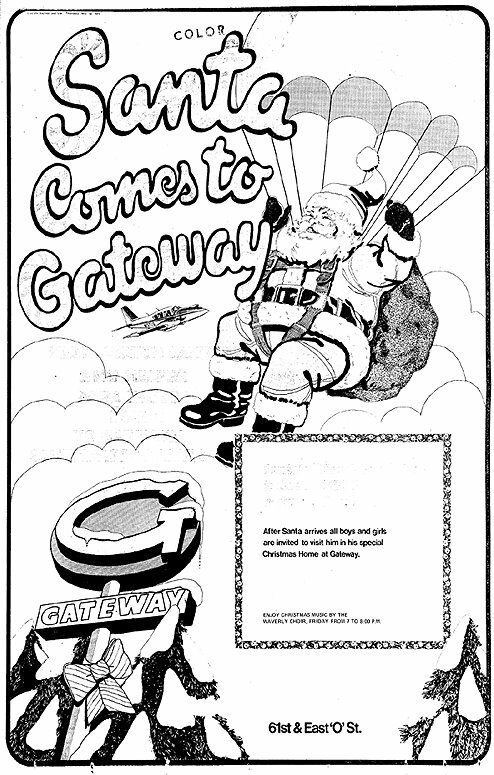 Happy Holidays and happy flying, Santa! 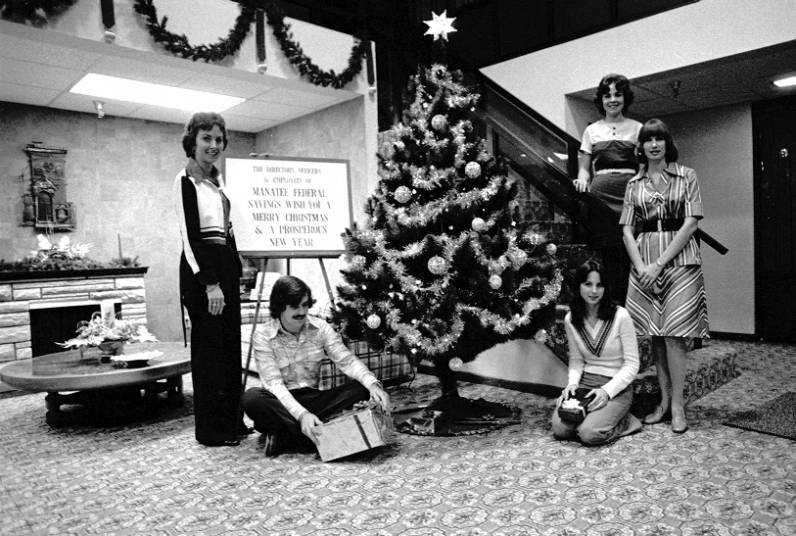 The retail halls are certainly decked in this festive photo! Enjoy this groovy interior view of a Christmas City Store (never heard of those myself), in the 1960s. 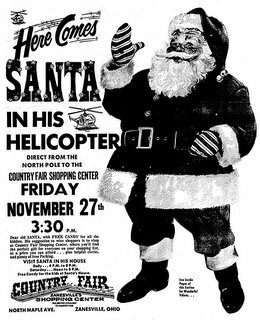 Not a shopping mall here (though for all I know it might have been in a mall or shopping center), but just a fun picture I thought would be appropriate for this time of year. 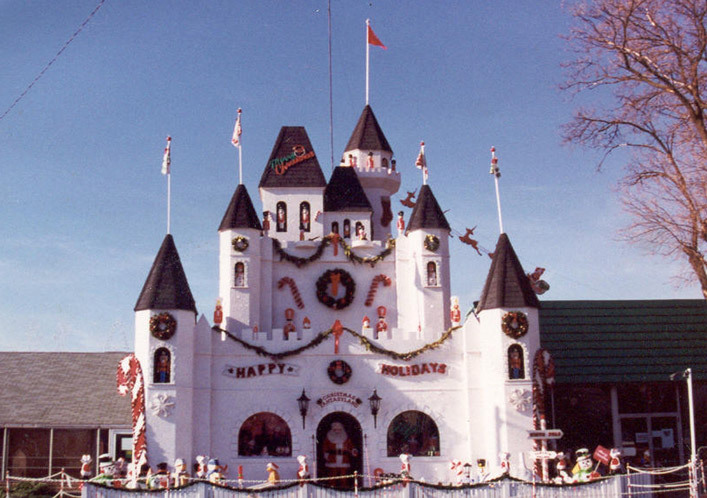 This shot puts me in mind of a great Christmas store near my neck of the woods in Warren, Michigan, called, Young's Christmas Fantasy, that's been a must-see holiday favorite around these parts for many, many years. (Excerpt) On top of the rising costs of food, gasoline and rent, inflation-riddled Americans now have still another worry. 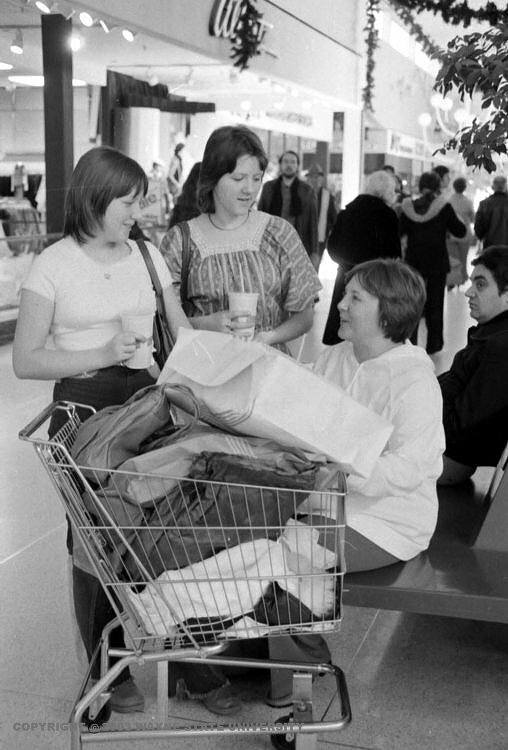 As the Christmas shopping season begins, prices of clothes and most other textile goods are climbing. A man's cotton dress shirt tagged $12 a year ago is selling for at least $14 this holiday season—if the shopper can find what he wants at all. An all-silk necktie that went for $7.50 last year is now $12.50. At Manhattan's Saks Fifth Avenue, men's wool suits that sold for $280 earlier this year now cost $310. Presaging a further rise at the retail counters, wholesale apparel prices in October rose 1.7%—the biggest monthly jump since the Korean War year of 1950. 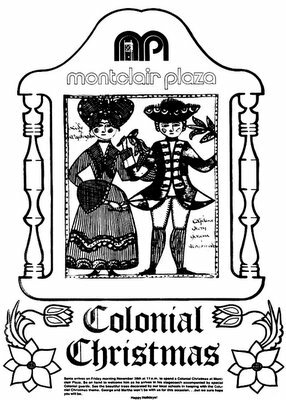 In 1975 it was a Colonial Christmas at Montclair Plaza Mall! Whatever that means. "Santa arrives on Friday morning November 28th at 11 a.m. to spend a Colonial Christmas at Montclair Plaza. 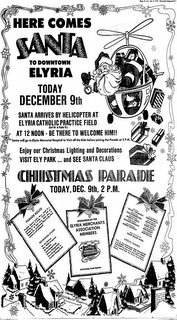 Be on hand to welcome him as he arrives in his stagecoach accompanied by special Colonial guards. See the beautiful trees decorated by our local schools in keeping with the Colonial Christmas theme. George and Martha won't be with us for this occasion...but we sure hope you will be. Happy Holidaye!" 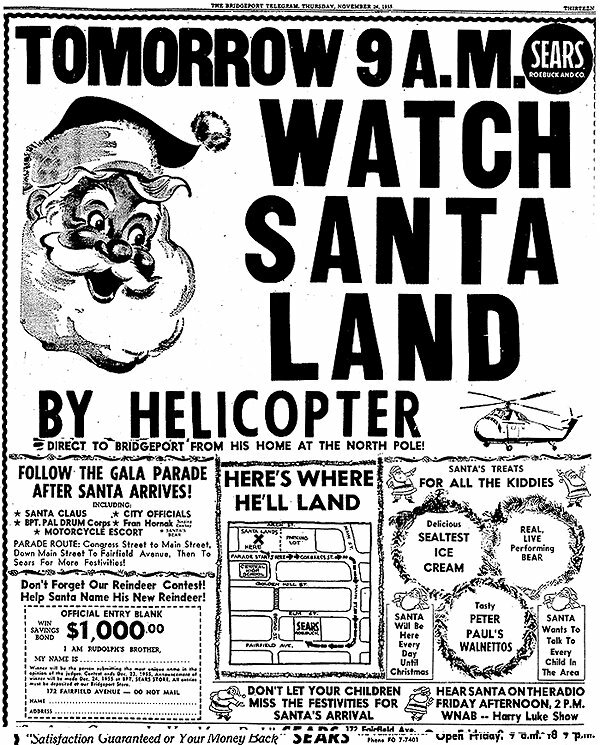 And yes, they spell it "holidaye" in this ad. 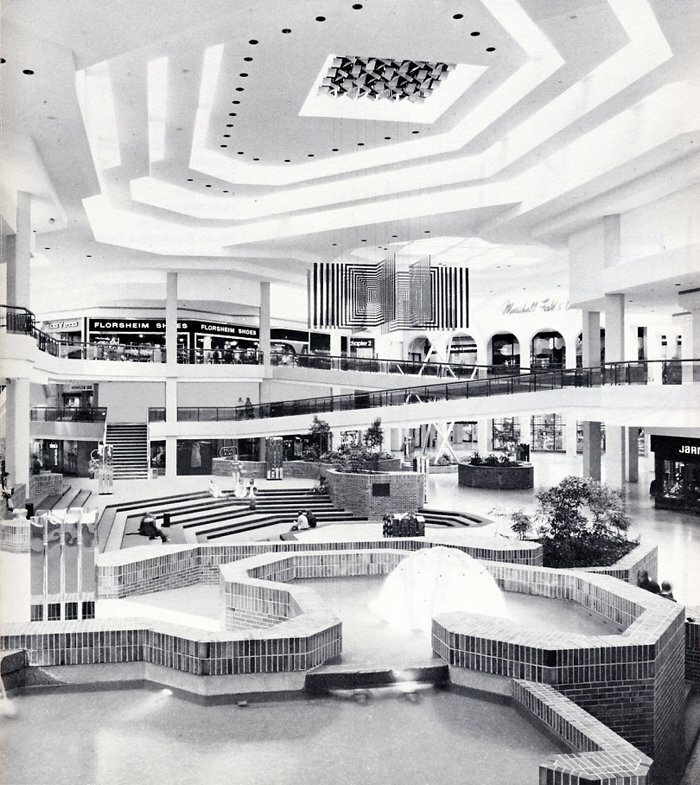 I guess that's Colonial and stuff, which I'm thinking might have been the theme of this mall (opened in 1968) at the time perhaps? 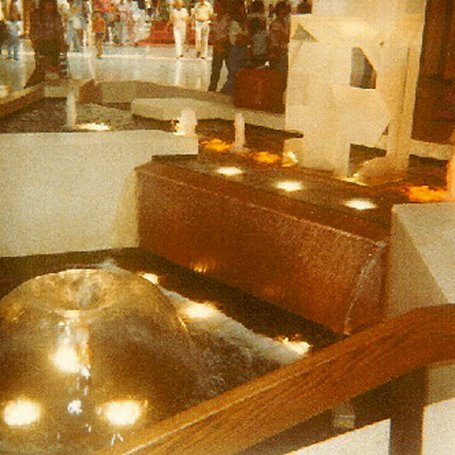 In this entry we take a nice long nostalgic look at Jefferson Mall, in Louisville, Kentucky. I was going to break this up into two posts, but what the heck, let's live dangerously! The great snapshots and commentary that follow below, were sent in by, J (who also shared some great Louisville mall memories with the blog recently), and I thank him once again for yet another fantastic submission! I'm starting this off by adding a current directory map from the mall's website, to help put the layout in a little more perspective as you read the article, then it's on to J's memories! 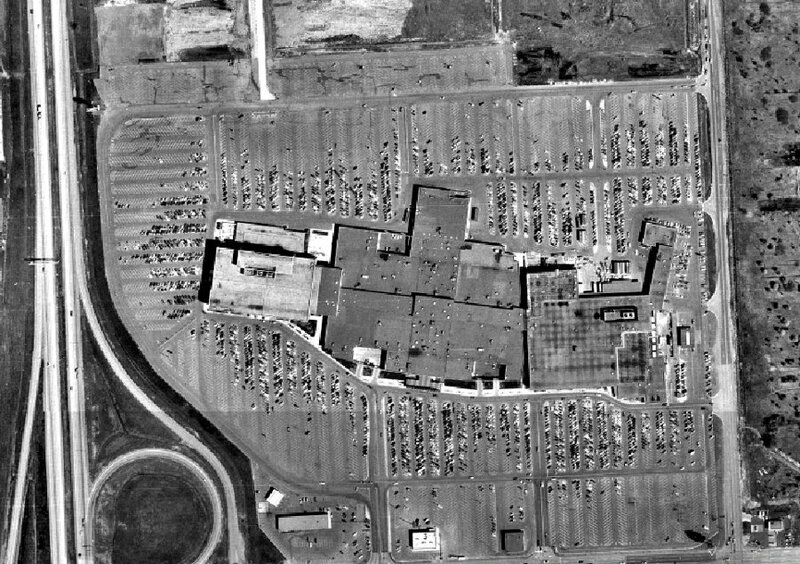 Jefferson Mall opened in August 1978, and was, from what I understand, the largest mall in Kentucky at that time. 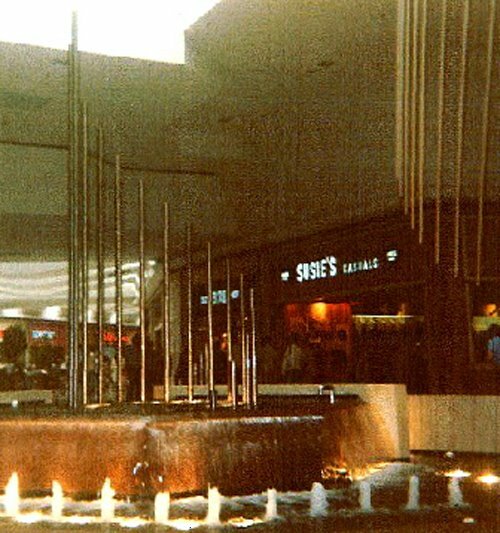 It was a Jacobs mall, but Jacobs sold it a few years ago. 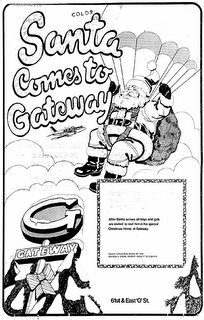 It was later eclipsed by its sister mall, Fayette Mall (also Jacobs, also sold) in Lexington, when it expanded in the mid-1990s (which also eliminated its incredibly well-preserved early 70s décor). 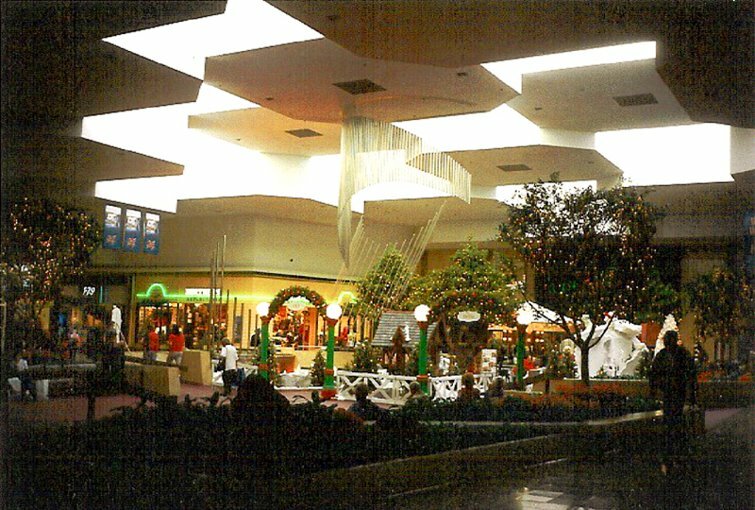 I’m providing some pictures of Jefferson that I took as a kid during the mall’s opening week, along with some from around the holidays in 1992. 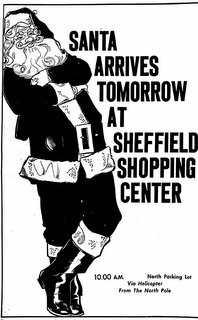 In ’78, I wanted to see this new mall very badly, since I had just experienced the disappointment of discovering that the mall of my childhood, Mall St. Matthews, was being remodeled. 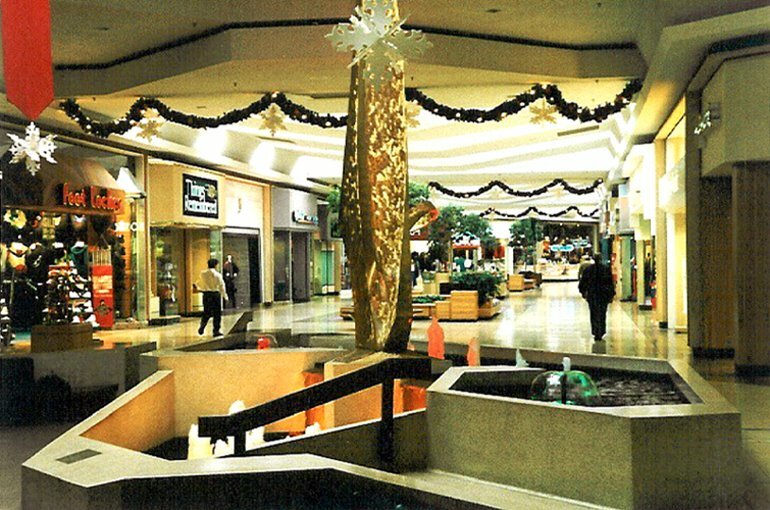 I was hoping for something more like the funky jungle look that Mall St. Matthews was losing, so I remember being very disappointed at the time in the cool, clean sleekness I found at Jefferson. But, I figured that my mom had carted me all that way, and I’d taken my camera, so I thought I might as well snap some photos. Almost 30 years later, I can’t begin to express how precious the pictures I took that day are to me. I hope these photos give you a good sense of what the mall used to look like, as its appearance changed little until the renovation a few years ago. 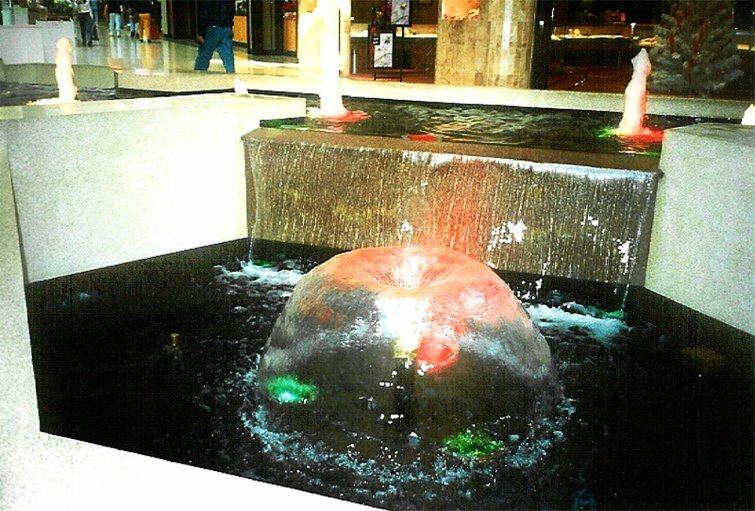 In ’92, I decided to capture Jefferson on film during the holidays, because of the mall’s tradition of, among other things, changing many of the fountain light lenses to red and green from the usual amber and white. Almost right up until the renovation the mall staff kept the facility in excellent condition, and that always helped make me feel that I was stepping back in time when I visited. And, believe me, I went and enjoyed it often, realizing for several years that it was more than likely only a matter of time. 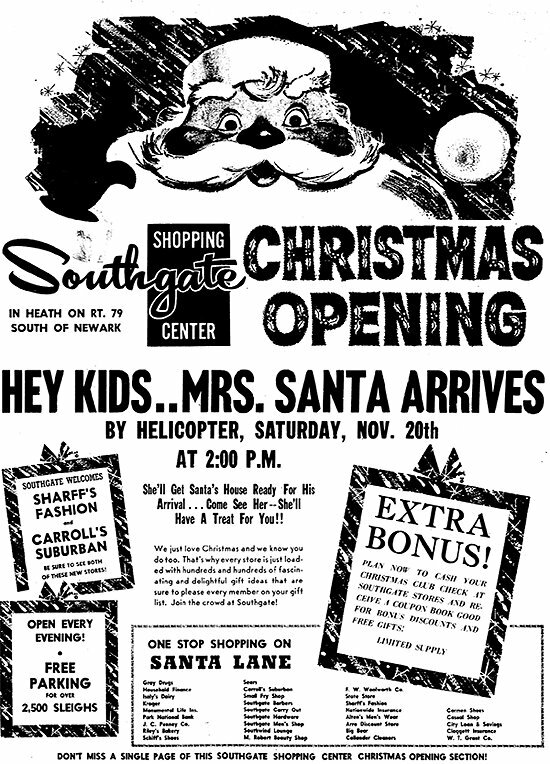 The mall’s still doing pretty well, but since the remodel, I hardly ever go back. These pictures are of center court. 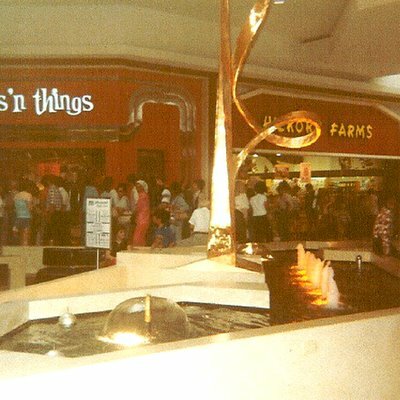 The picture above is from the mall’s opening week in 1978. Water flowed up metal tubes in the upper pool and ran down the edges. The metal rods in the left side of the picture were attached to cables running from the lower pool to the ceiling. The above picture is of the center court facing Hess’ (originally Stewart’s, now Dillard’s). 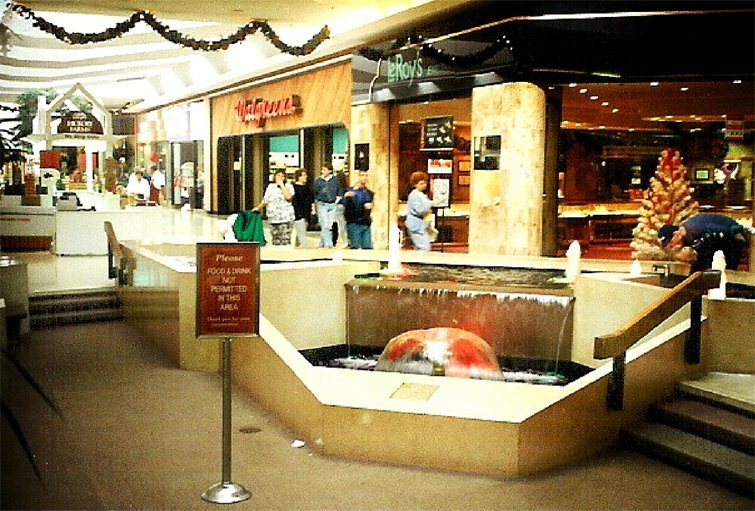 Lazarus (originally Shillito’s, now Macy’s) is across the court. Amid the Christmas display, you can see those metal rods more clearly. They were offset by a semicircle of hanging steel rods suspended from the ceiling. The picture above shows the other side of the fountain, with another set of stainless steel tube fountains. From this pool, a channel of water runs off the left portion of this picture to spill into the lower pool. You may be able to make out the red and green fountain lights beneath the water-tubes. The tubes in the upper pool had red, white, and green lights, but it’s hard to tell in the picture. The cables to the ceiling are visible from a side angle as a white object angling up to the right in front of the tree in the background. 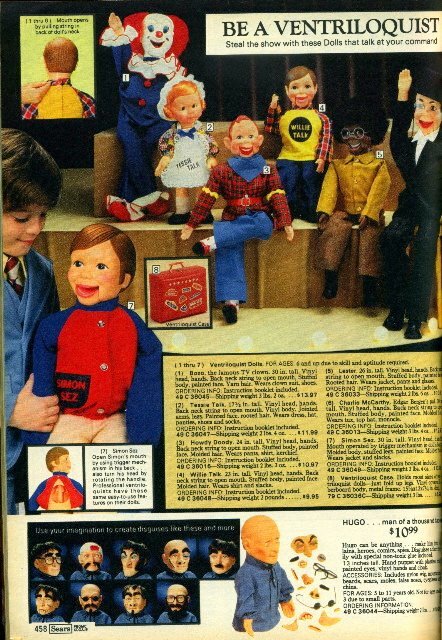 These pictures are of the JCPenney wing. The first one (above) was taken during the mall’s opening week in August 1978. 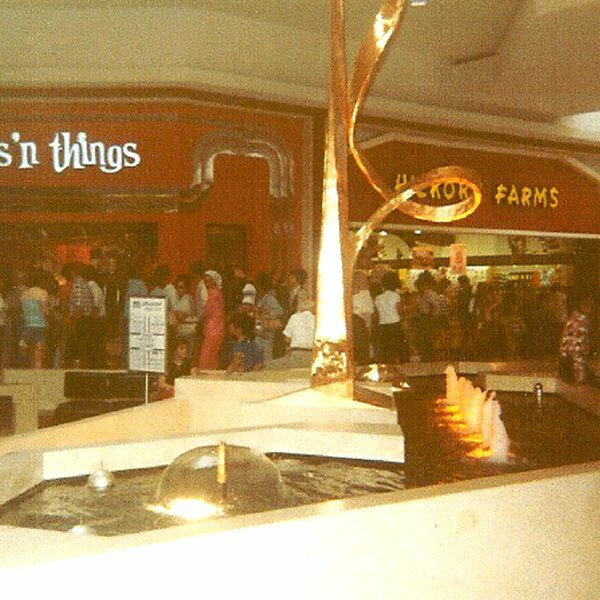 The name of the store on the left in that picture was “Rings ‘n Things.” The sign in the sitting area listed mall events. The carpet in that area was burnt orange, and the seats were chocolate brown. Terrazzo was everywhere. The other two pictures below were taken during the holidays in 1992. 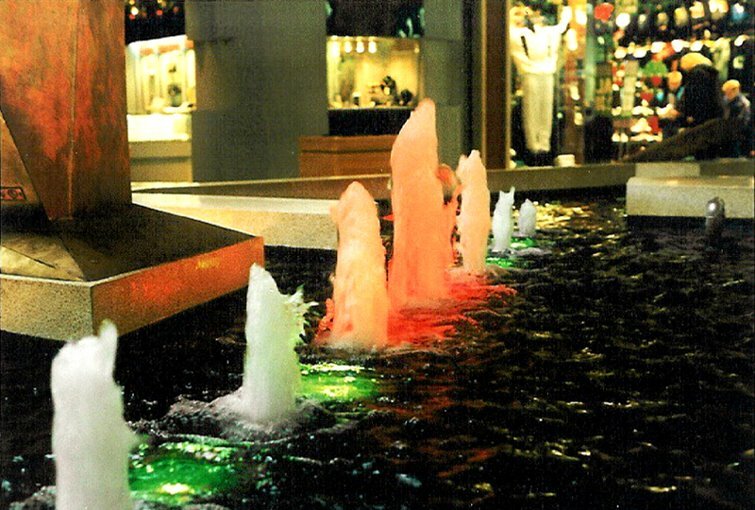 Each year many of the fountain light lenses were changed to red and green for Christmas. The photo above was taken during the mall’s opening week in August 1978. In that picture, you can barely make out the burnt orange cylindrical trash can to the left of the sculpture, and the equally burnt orange couch and carpet in the background behind the couple walking toward the camera. 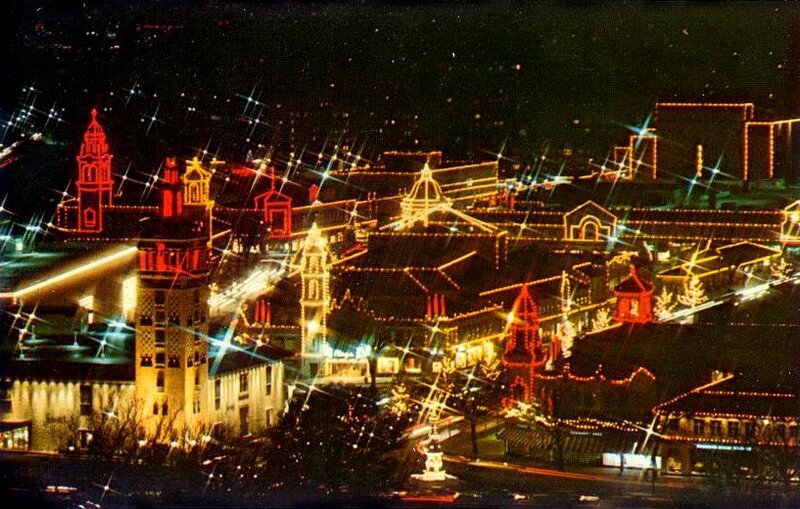 The last two photos below are from Christmas 1992, with fun red and green fountain lights specially for the holidays. 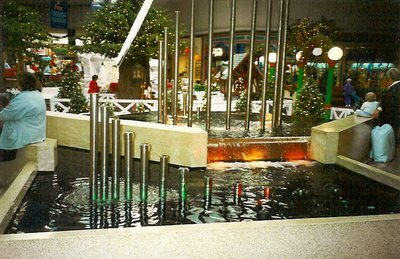 The cool white sculpture in the upper pool had vanished from the fountain by the late ‘80s. I don’t know what happened to it, but it couldn’t have been pretty. 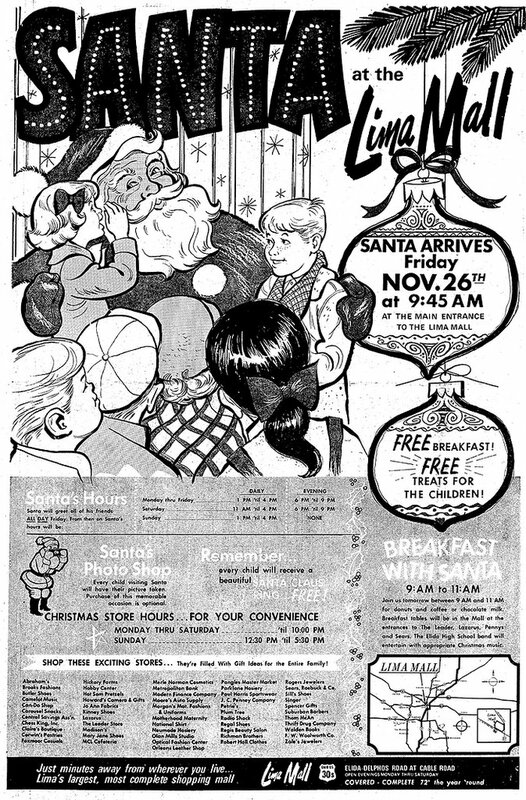 Vintage Lima Mall Christmas newspaper ad celebrating Santa's holiday season arrival. 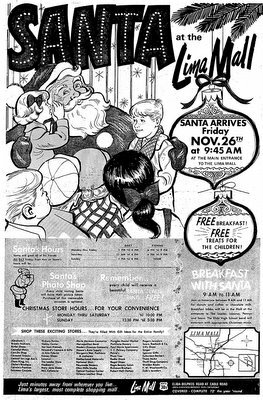 I left this image really large so anyone who cares to can more easily read the store names and other little details--though some are still hard to make out due to the nature of the scan and ad design. 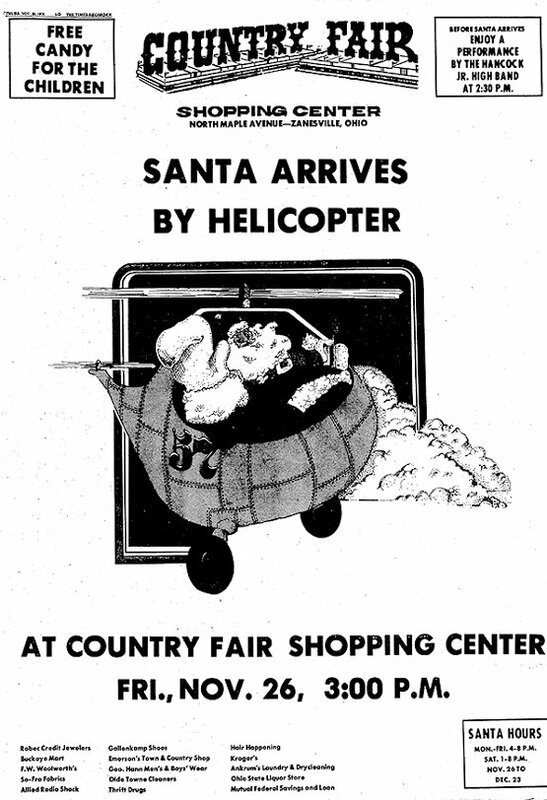 At any rate, this is one of my favorite shopping mall Santa ads so far! 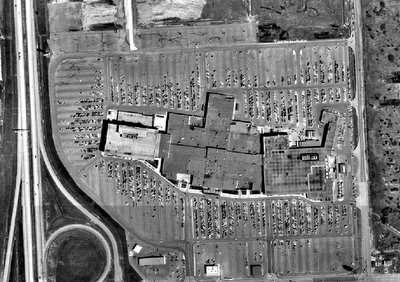 Sprawling aerial view of the Oakland Mall shopping center in Troy, Michigan, in 1974 (that's I-75 running north & south along the mall's west side, with John-R road along the east and 14 mile road just barely visible along the southern edge). I get a lot of tastey coffee from the Burger King that now sits in the lower-right corner of this photo (in the Oakland Plaza) just out of view to the east a few feet, behind what's now a Mobil gas station. They make some pretty good coffee, I must say. 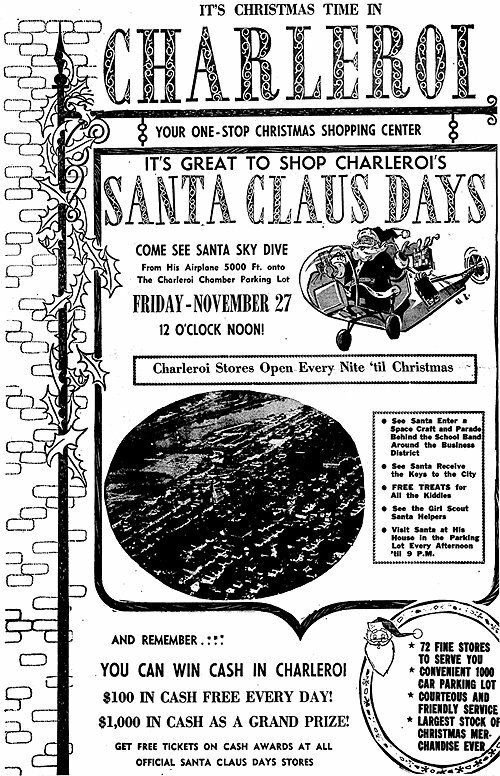 In this aerial, the Oakland Plaza strip mall wasn't there yet. 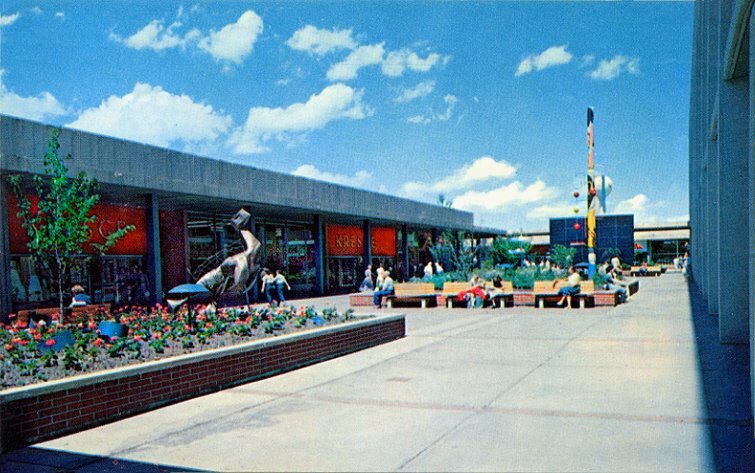 It's now a collection of stores that run all along the length of John-R road, right across from Oakland Mall, in the vacant area you see in this vintage view. 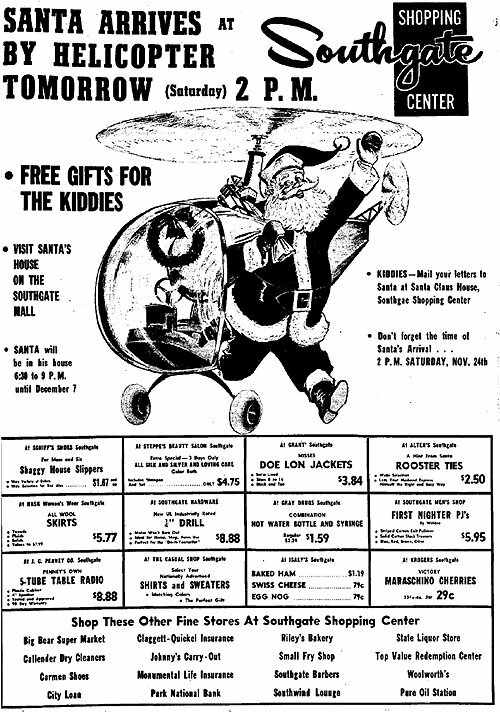 (Excerpt) SALE. 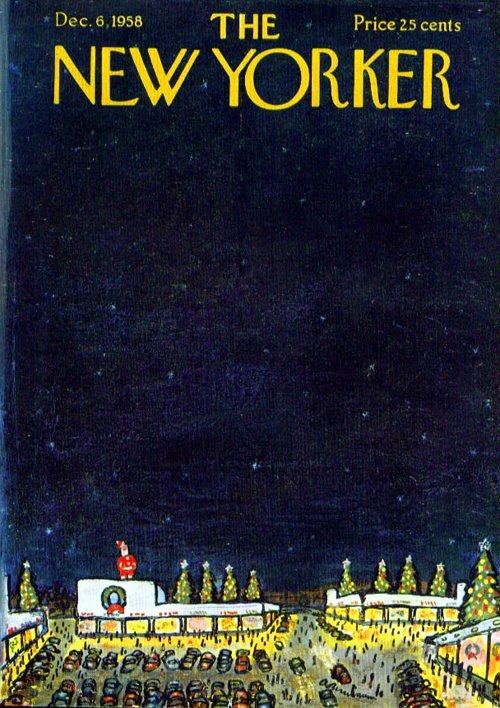 The word was everywhere last week in recession-weary, unemployment-plagued, pre-Christmas America. It stood alone or with exclamation marks in all its variations: reduced, discounted, cut, specially priced and slashed. 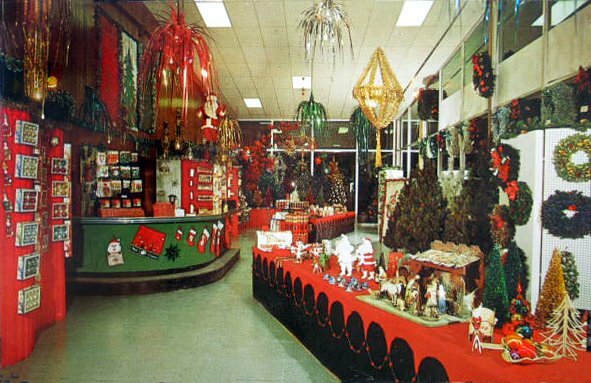 The word flanked department-and specialty-store aisles from Maine to California. It paraded through chic boutiques in Manhattan and Beverly Hills' Rodeo Drive. 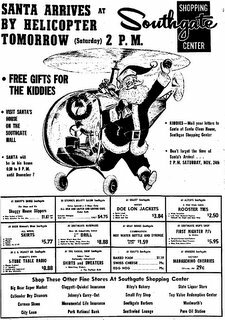 It marched through newspaper advertising and charged into glossy supplements. On television, it assaulted millions of viewers. Christmastime in Oakland Mall on this day in 1976. 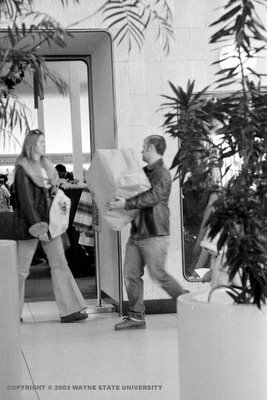 Hurried shoppers rush to and fro, trying to finish up their last bits of holiday shopping--as many are still doing in Oakland Mall at this very moment, just a short drive from where I sit typing this. In fact, I'll be over there myself this evening. 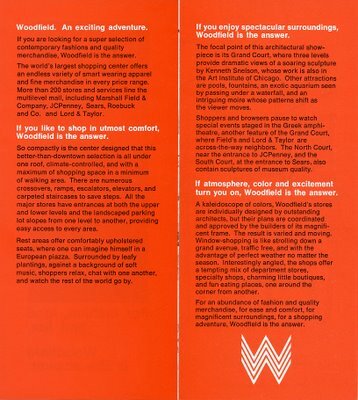 Following up on my last Woodfield Mall post, here's more retro goodness courtesy, once again, of Steven Wilson (of GREATAMERICAparks.com), who sent in this great vintage promotional brochure, which dates to around 1971 or so. Thanks for the nice submission, Steven! Anyway, the first stunning picture I posted at the top of this entry is actually the two-page photo from the center of the brochure, about which Steven said: "Also note on the centerfold photo the pre-Photoshop alteration of the photo to block out the storefront area on the middle level. 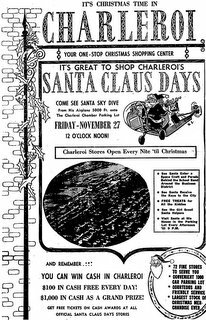 That spot was the long-time home of a County Seat store, which must have come after this photo."